#Accueil #Articles #English #La Vinata is back! On the crest of its popularity, La Vinata, the great party of the Bergerac and Duras Wine Route is back for a 2nd edition on Friday May 11th, 2018, at the heart of the old city of Bergerac. And on the following day, Saturday 12th May 2018, the winemakers will welcome the tourists in their estates during an Open House Day. Discover the 7 reasons why you should come to La Vinata, this great event opening a rich season of oenotourism in Bergerac. In the Middle Ages, the word vinata or vinée was used to describe the entire wine territory depending on the urban authority of Bergerac. 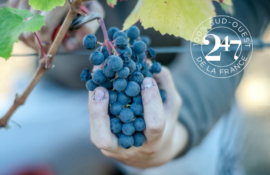 Since 2017, it is also the name given to the great party for the winemakers of the Bergerac and Duras Wine Route. It takes place every year during the Ascension Holiday and marks the launch of the oenotouristic season in Bergerac and Duras. La Vinata is a new concept and soon it will be unmissable: come and you will be able to say: “I was there”! The prominent Consuls de la Vinée will give us the honor to inaugurate La Vinata 2018 for the occasion of a time travel through the history of the vineyard. The Consulat de la Vinée is one of the oldest French brotherhoods: its history dates to 1254. You will travel thanks to music because the band of Bergerac Wines, In Vino Veritas, will be part of it. Meeting at 11am on Friday on the forecourt of the Notre-Dame church in Bergerac! #3 Because during La Vinata: you try new things! 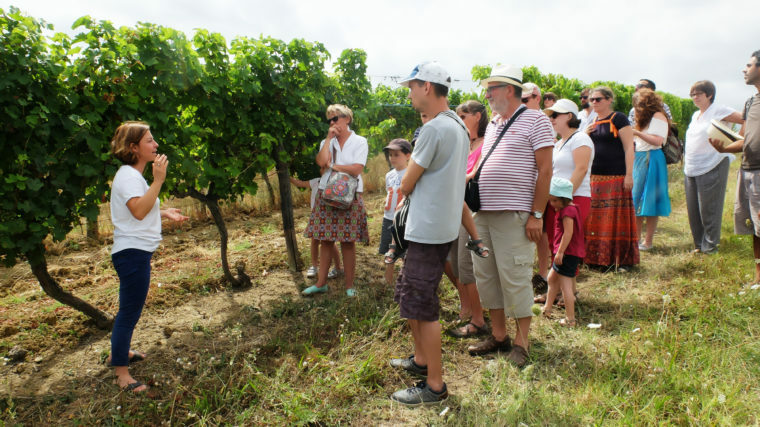 At the heart of the old Bergerac, on the place de la Myrpe, with your tasting pass, come and meet the winemakers of the Bergerac and Duras Wine Route on the discovery tour. 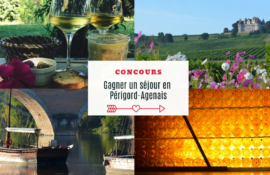 More than 50 estates will be present on Friday May 11th in Bergerac to make you discover their wines and the plenty of pleasures and wine activities of the Bergerac and Duras vineyard. 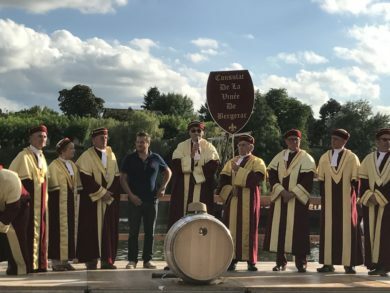 You will be able to discuss with the winemakers directly, and if you are obsessed with a certain wine, you can go to the Maison des Vins de Bergerac just a few meters away. Oenotourism is a family thing in Bergerac! During La Vinata, during the whole day of Friday, a recreation area will be dedicated to children in the Recollets Cloister. All year, many estates of the Bergerac and Duras Wine Route keep a privileged welcome to families. It will also be the case on Saturday for the Open House Day with the connected treasure hunt, educational tour and guided tour dedicated to families. #5 Because during La Vinata, you dance at the traditional ball! 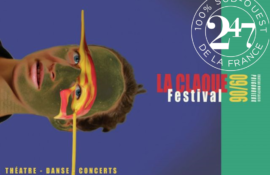 Are you ready to (re)discover the traditional dance with the Occitan band Lo Clapat? In case you are a bit rusty, like us, Lo Clapat will organize an initiation from 6:30pm to 7:30pm. No excuse, you will be forced to shine on the dancefloor of the traditional great ball of La Vinata at 9pm at the Recollets Cloister. A little hungry? Look after the Vinata partner restaurants to savour a special menu or have a stop to the gourmet area in the place Cayla. You will find brochettes, burgers, goat milk crepes or even ice creams concocted by local producers. Do you want to continue the discovery? The winemakers of the Bergerac and Duras Wine Route welcome you during the whole day of Saturday. Bergerac, Duras, Monbazillac, Saussignac, Rosette, Pécharmant, Montravel: 7 great terroirs, 7 oenotouristic experiences to try. 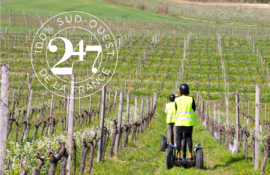 The winemakers of the Bergerac and Duras Wine Route have some pleasant surprises in store: lodging at the heart of the vines, “Create your cuvée” activities, treasure hunts, Segway rides, and many more. Meet-up point at 11am: the forecourt of Notre Dame church for a travel through the vineyard history. With the Consulat de la Vinée and the band In Vino Veritas. You get 10% off if you buy wine inside the estates, with presentation of the Vinata glass.